A literature review can be used to strengthen a human drug, biologic, or medical device product portfolio and their corresponding regulatory submissions. In fact, FDA guidances, as well as the U.S. Code of Federal Regulations (CFR), require surveys of the literature as sources of safety, efficacy and ‘known uses’ information. 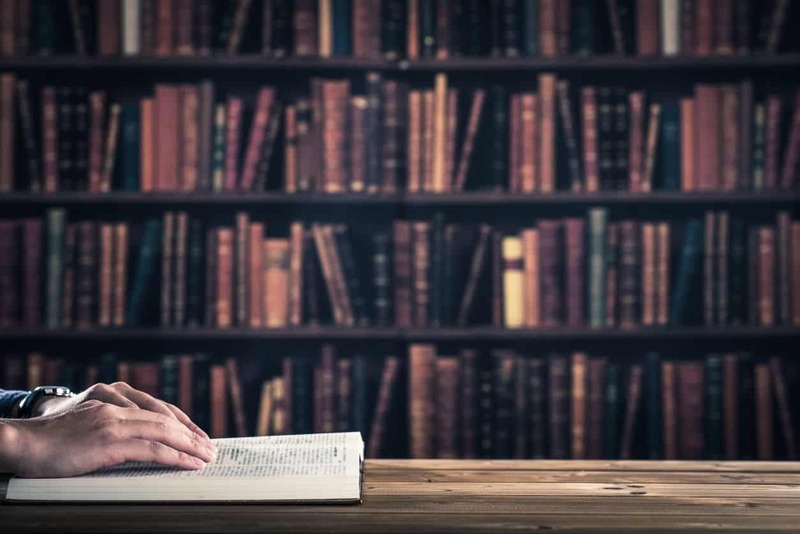 Regulatory literature reviews differ slightly from student thesis collections, systematic reviews or meta-analyses, and those used for medical policy, both in the selection of articles as well as the goals of the final literature collection. For example, for regulatory purposes, preclinical (animal, ex vivo or in vivo) drug studies from the medical literature could be used for the pharmacology, pharmacokinetic and toxicology information in the submissions for a human product. The drug, biologic, or medical device sponsor should know the most about their product. This includes the medical literature, which in turn would mean periodic searches to collect adverse events (if any) and note whether there are off-label uses of their (or a highly similar competitor) product. Starting a literature search with PubMed/MEDLINE or Embase is a good way to test out the terms being used to locate the data within a specific topic. Revisions to the selected terms or truncation may be necessary to capture the entirety of the targeted literature. PubMed has a Medical Subject Heading (MeSH) vocabulary and Embase preclassfies terms into ‘Emtree’ groups. Using resources to find the literature beyond that noted in PubMed/MEDLINE or Embase is necessary to be complete. Other literature databases that could be considered include but are not limited to Google Scholar, Cochrane Reviews, Web of Science, OVID, Science Direct and Scopus. There are also specialized literature databases, e.g. PsycINFO and AMED. The ‘grey literature’, such as conference abstracts or dissertations, often do not appear in readily accessible databases and can be another source of data. However, grey literature data is often incomplete as well as not peer-reviewed, which is acceptable for regulatory safety submissions but not efficacy-related support. Searches can be enhanced by using the searching limits and Boolean operators, especially if the first round of retrieved literature citations seems too large. ‘Largeness’ is a relative judgment call and can vary based on attributes such as the medical history of a product (e.g. one used since the early 1900s versus one first marketed in 2016). Searches need to include synonyms and older terms that have been replaced by more current terms. Often by reviewing a couple of the publications the researcher has already identified as useful, additional or combinations of terms can be identified to re-target a search. A citation manager tool should be used to keep track of individual literature citations and groupings from searches conducted. Ideally a history of the terms used, any changes and the number of references that searches generated should be written up or memorialized in a log. Attention to details will save time and allow the researchers to depend on their previous work, knowing that at a certain time all the literature had been collected. This can be used to predict when an update is needed. The same searches, starting from the last retrieval date, can be used if documented correctly. Additionally, providing terms or strategy used in searches to regulatory authorities adds to the authenticity of the information by allowing verification. Literature is best presented in a manner that will be logical to the regulatory reader, not necessarily in the order which the searching or citation collection was done. An ‘integrated summary’ of the collected information should be provided. Agency reviewers do not have time to synthesize a ‘dump’ of literature that is being used for regulatory support. If an article or two does not seem to fit into the summary, the summary should provide an explanation of why they are included. If this seems a herculean task, maybe those selections do not belong in that collection. Typically, FDA requires submission of a copy of any publication cited in a package. This applies to product submissions at the beginning of development (e.g. pre-IND) and throughout the entire life-cycle of the product (post-approval periodic reporting and IND/NDA Annual Reports). From a summary of information perspective, author and year tracking are obvious. However, from the beginning of a summary, as much information as possible from a specific publication should be included in the literature review. For example, details for a drug such as the specific formulation, dose, daily dose, length of exposure, comparators, indicated uses, outcomes and adverse events could all be useful in the first regulatory literature write up as well as future ones over the lifetime of the product. Some literature search engines only have the capacity to identify terms in the title, abstract and key terms of the publication. Other databases have searchable text throughout the published documents. Often the ‘devil is in the details’ of a publication, and information from a table or a figure that cannot be presented in OCR format can only be identified by reading the entire article. Sometimes, items are missing from a description of a medical treatment or condition within a publication. Be sure to note this, so that it does not seem as though it was missed by the literature researcher. Any excess information can always be reduced to tailor to the need, for example, safety information only. The literature or efficacy reviews are characterized by the quality of the study. The best literature includes study attributes such as randomized-controlled trials with high quality outcomes and sufficient sample size. Biotech Research Group (BRG) scientists can provide consulting and work products for any type of literature needs. We also can give as much and as little as a client wants; from a polished section of a regulatory submission to production of a bibliography list that a client can use as the start of research for their support. Do not hesitate to contact us for a project estimate. BRG can help you by refining your literature to provide better content that is appropriate for regulatory presentation. Additionally, literature searches are a key component of the information that is required to be submitted to regulatory authorities as part of pharmacovigilance (PV), collecting and integrating current safety data periodically for a drug during its postmarketing lifecycle.